The treatment options for scoliosis continue to advance along with the new knowledge that genetic testing for idiopathic scoliosis can give us in children and adolescents. In addition, new predictive data which helps measure the long term effect of scoliosis and spine related disability in young and older adults may allow more innovative treatment options. 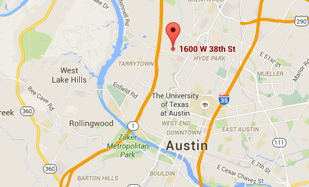 Dr. Matthew Geck at Scoliosis Texas in Austin, Texas is experienced in the complex problems of pediatric and adult scoliosis. 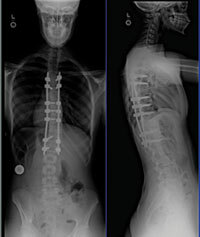 Scoliosis results from an abnormal curvature of the spine when seen from the back. 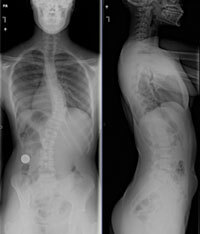 When the curvature is more than ten degrees, scoliosis is present. Depending on the cause of the scoliosis, a variety of treatment plans are available including nonsurgical options such as bracing or physical therapy. If the disease progressively worsens, surgical options may be necessary. Click here to learn about minimally invasive interbody procedures. Dr. Geck was one of the first surgeons in Texas to perform minimally invasive scoliosis procedures on both adolescents and young adults with idiopathic scoliosis. The procedures performed by Dr. Geck have been used at only a few of the top scoliosis centers in the United States, including Philadelphia Shriner’s and Miami Children’s Hospital. Using a few small incisions instead of a single long one, and also using muscle sparing surgical approaches, many scoliosis curves can be reconstructed with similar results to traditional open approaches. When surgeons use a minimally invasive approach there is less scarring, less muscle dissection, less chance of tissue complications and less blood loss. Other advantages include shorter hospital stay, less pain, and because of the muscle sparing approach, faster return of function. “One real advantage of minimally invasive instrumentation, whether it is mini-open or percutaneous (meaning through the skin), is the minimal trauma to the muscles around the spine and faster recovery of function,” says Dr. Geck. Click here to learn more. Click here or select the images to the right to download and print out this information on minimally invasive scoliosis surgery. The best patients for vertebral body stapling have a curve between 25 degrees and 35 degrees and are between the ages of 8-11 years-old. The staples are made of a substance called nitinol, a nickel-titanium alloy that has “shape memory.” When the staples are cold, they can be in an open position for surgical implantation. When they warm to body temperature, they resume their original shape and clamp onto the vertebrae. “The metal flexes and allows for continued movement of the spine,” says Dr. Geck. Even the most intense athletes can resume their activities after recovery. “Gymnasts can still do back handsprings,” he says. Dr. Geck is one of the early adopters of the new technique. “To my mind, it makes more sense to combine minimally invasive surgical approaches, such as video assisted thoracoscopic surgery, with vertebral body stapling to minimize the impact on the patient’s growing body,” says Dr. Geck. Patient selection is critical. “You have to pick the right candidate, the right curve and the right reason,” Dr. Geck says. It is the most effective with curves from 25 degrees to 35 degrees. If the curve is greater, spinal fusion is still the treatment of choice, and mild curves may respond to bracing. Click here to learn more. Select the image to the right or click here to watch a Fox 7 Austin feature on the new scoliosis treatments performed by Dr. Geck. Video assisted thoracoscopic surgery allows entry into the chest wall or thoracic cavity using a minimally invasive approach. With an incision of 4-8mm, the surgeon is able to access the thoracic spine safely, and perform a variety of techniques, including vertebral body stapling, release of severe scoliotic curves, and reconstruction and fusion if necessary. Benefits of video assisted thoracoscopic surgery (VATS) include less post-operative pain, shorter hospital stay, faster recovery, and most importantly, less impact on short and long term lung function. Click	here to	learn	more.